The new 2019 Nissan Titan is designed to produce premium performance, unrivaled by the 2019 Honda Ridgeline and Toyota Tundra. Discover the versatile full-sized pickup truck today at Bob Moore Nissan. It’s not hard to see why the Nissan Titan outperforms the competition. All you have to do is lift up the hood. Its standard 5.6L Endurance® V8 engine is not only bigger than the base engines in the Honda Ridgeline and Toyota Tundra, but it produces much higher output than either competitor as well. Paired with an exclusively-tuned 7-speed automatic transmission, the Nissan Titan engine delivers 390 horsepower and 394 lb.-ft. of torque. All the while, it still maintains remarkable fuel economy at an EPA-estimated rate of 15/21 city/highway MPG. Get the premium power you demand. Schedule a test drive at Bob Moore Nissan – a world – class car dealership near Oklahoma City, OK. 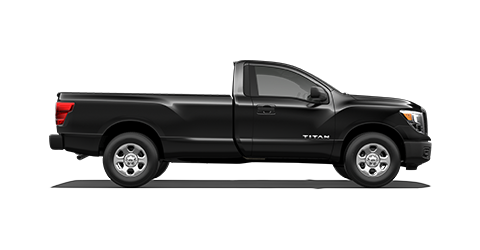 Equipped with a massive, competition-crushing engine, the new Nissan Titan also posts unrivaled capability ratings. It boasts a max towing capacity of 9,660 pounds and 1,860 pounds of payload capacity, all thanks to an innovative list of utility features. The 2019 Nissan Titan offers an Integrated Trailer Brake Controller, Tow/Haul Mode with Downhill Speed Control, Trailer Sway Control, and a Trailer Light Check system. Drivers can also opt for a RearView Monitor with Trailer Guides, making tight spaces much easier to navigate. The 2019 Toyota Tundra and Honda Ridgeline can’t deliver a high-tech towing experience like this. Test-drive the new 2019 Nissan Titan today at your world-class Nissan dealer near Oklahoma City – Bob Moore Nissan. Whether you’re commuting to work, arriving on a job site or just having some fun in the mud, truck safety should always be a top priority. That’s why the new Nissan Titan provides a long list of innovative driver-assist technology. To ensure optimal safety, drivers can opt for advanced features such as Blind Spot Warning, a Front and Rear Sonar System, and a Tire Pressure Monitoring System. The Nissan pickup also offers an available Intelligent Around View® Monitor with Moving Object Detection, delivering peace of mind from every angle. You won’t find this kind of advanced technology in the new Toyota Tundra or Honda Ridgeline. Explore intuitive safety in the new 2019 Nissan Titan at Bob Moore Nissan – a trusted car dealership near Oklahoma City, OK.
Nissan vehicles offer some of the most sought-after cabin technology in the industry and the 2019 Nissan Titan is no exception. 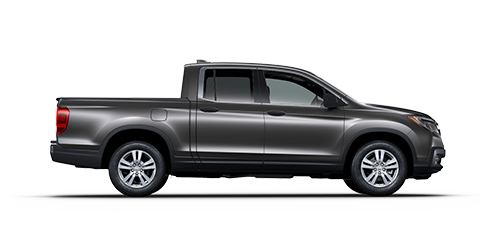 including the Toyota Tundra and Honda Ridgeline. The new Nissan Titan also offers unrivaled sound technology with a 12-speaker Fender® premium audio system. The new Nissan Titan provides easy access to these features and more via a standard 7-inch touchscreen. Experience a modern full-size pickup at your Nissan dealer near Oklahoma City, OK. Test-drive the new Nissan Titan today at Bob Moore Nissan. With a wealth of style and capability options, the new Nissan Titan lineup provides a little something for everyone. Choose between various Nissan Titan and Titan XD models with Single cab, King cab, and Crew cab configurations, then select from a list of premium trim levels – S, SV, PRO-4X, SL, and Platinum Reserve – all of which are available with rear-wheel drive or 4-wheel drive. Drivers can also stylize their Nissan Titan with the fan-favorite Midnight Edition package, available on SV and SL crew cab models. Along with a wide selection of 2019 Titan and Titan XD models, Bob Moore Nissan offers a state-of-the-art service department to ensure you receive top-notch service throughout the life of your vehicle. Of course, all Bob Moore Auto Group locations always deliver elite customer service for an all-around experience you won’t find at other area car dealers. For an exceptional full-size pickup truck, visit an exceptional car dealership near Oklahoma City. Test-drive the new 2019 Nissan Titan today at Bob Moore Nissan.